Yes, it is an effect of jaundice. Wonderful! Methinks I can relate, though. Or maybe I can’t. Or maybe I just think I can, but could never relate. He thinks no one can relate, but maybe you can, I can, I think, even though I’m not him. Did you do the drawing as well? No, I’m not much for drawing, it’s Salvador Dali. It’s a great image reguardless, one I had not seen before! You make the strangest connections. true. i once connected “Ghost Rider” to “Wikipedia” in a game of broken telephone. Thanks for stopping by and liking my post. Wonderful poem. The title alone grabbed my attention. Thank you, I can see how the title would do that. 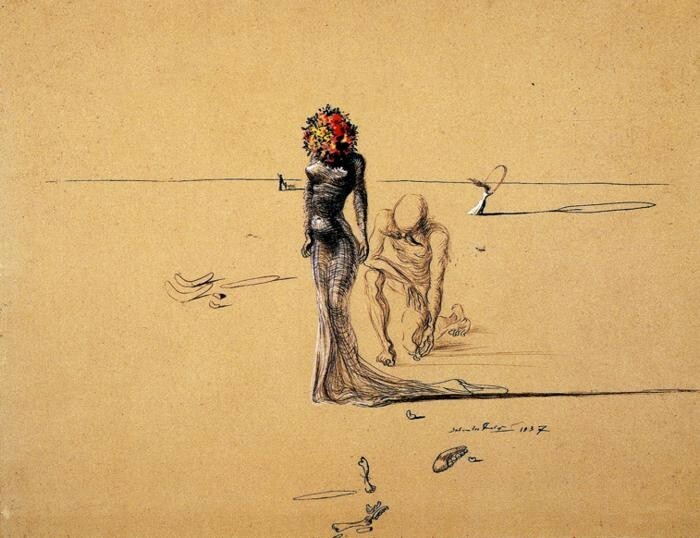 Thanks Dizzy, thought it was appropriate, I love Dali as well.